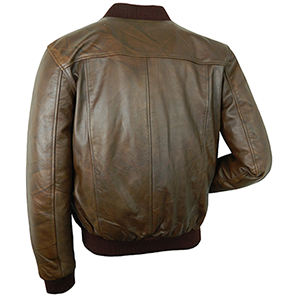 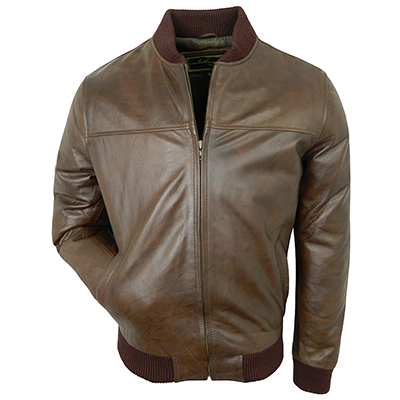 A replica bomber jacket with traditional woolly, elasticated cuffs, collar and waistband. Made in a lovely brown/tan leather with a quality lining. 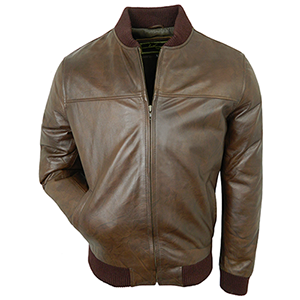 A comfortable feel with an effortless look of relaxed style.